We’ve provided on-site batch plants to complex projects that demanded large volumes of concrete under difficult job conditions and locations. We operate portable ready mix concrete plants for projects that require dedicated service, no matter the location. 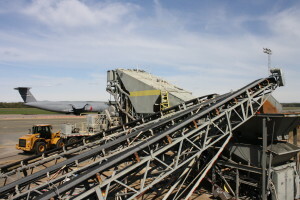 We also have portable central mix concrete plants that can produce 300-350 cubic yards per hour for heavy civil construction projects, such as highway and airport pavement, dams, and large equipment foundations.